Summary: Ictjob is a specialist job board, focused on IT jobs in Belgium (and in countries near Belgium). 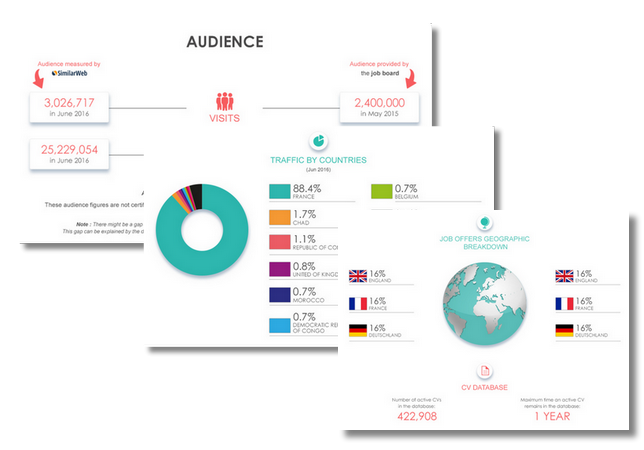 With 95 570 views a month and 70% of those coming from Belgium, it is a rather successful job board in its field. The site is available in French, English and Dutch. On social media, the Twitter is full of offers for the 4 819 followers and there is a Linkedin page (854 followers) and a Facebook one (682 followers). The site has been around since 2007 and it has expanded to Luxembourg and Germany (but it has not been as successful). Design: The dominant colour of the site is orange. The focus of the homepage is getting the job search started. You can use the various search grids (role, development, systems, and business applications) and include a keyword, or you can look for inspiration in the popular searches and/or company logos. Once in the job listing, the filters include the job language, the contract type, the experience, the level of education, the hours (full or part time), the role, the skills and the location. Most of the offers have no particular branding once opened, but there are some with special fonts and/or banners. Similar jobs appear under an opened job offer. Visible publication dates, logos, company names and locations in the listing are always a plus. The offers can be sorted by relevance or date. There are company pages but unfortunately, all them showed up as “access denied” on our computers. The job offers: There are currently 933 job offers, which is a little bit less than last year. Most of the job offers are for developers and analyst programmers. Less than 10 offers are outside of Belgium and none of them are over a month old. Reactivity: In the contact section, there are photos of the team. They answer very quickly. Special features: The CV visibility options; the interactive map on the homepage; the list of partner websites; the IT courses. Verdict: The job site is all about finding work. As far as special features go, Ictjob is lacking, without so much as a blog, and very little branding. That said, as a specialist job board, it has made a name for itself and continues to attract recruiters and jobseekers. Login here for FREE to unlock access to the traffic audience, content and pricing section for more information on ictjob.be	. Our main focus lies on quality and relevance of search results within the specific market of IT & Telecom recruitment in Belgium. 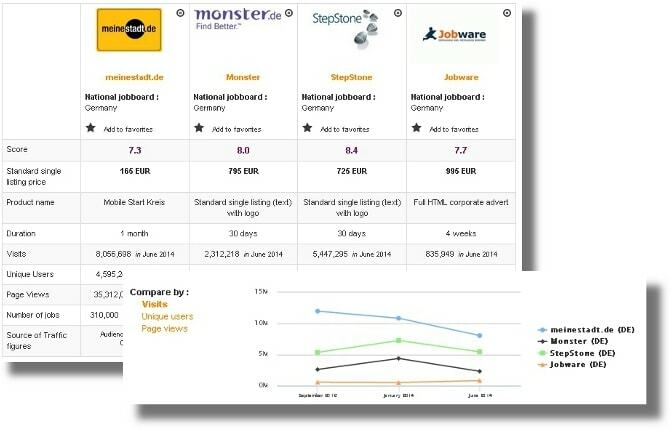 Besides being the #1 specialized IT jobboard in Belgium, one of ictjob’s main added value comes from the systematic and qualitative “checking & validation” process applied to all of our website's content (resumes and job offers). Our unique matrix of more than 250 technical criteria (IT Roles & Skills) designed by our own specialized recruitment & technology consultants, drives the users quickly and efficiently through their search (whether they are candidates looking for a new job or recruiters looking for new hires). More classical search ways, as “by keywords” are also available. In a few words, ictjob enables users to generate real-time search results and save their precious time by focusing only on the best matching Resumes (or Job Offers). Do you know ictjob.be	?